All presidencies begin with promises, and one of the first promises President Obama made was to shut down the military prison at Guantanamo Bay, Cuba. More than six years later, that promise has yet to be fulfilled, and the Republican-led Congress is moving today to make it even harder to empty the prison. NPR's David Welna began his story at Guantanamo. DAVID WELNA, BYLINE: Walking alongside the high outer walls of Guantanamo's detainee lockups, Navy captain and spokesman Tom Gresback gestures to the west. CAPTAIN TOM GRESBACK: See the sun getting ready to set on the beautiful Caribbean Sea and this detention camp here, and it's really a contradiction. WELNA: That jarring contrast is one Gresback says will continue as long as this camp has captives behind its razor wire-topped walls. GRESBACK: They are law of war detainees, and until such a time when it's determined that they're going to be transferred, that's what they are. WELNA: I asked the detention camp commander, Colonel David Heath, whose tour ends next year, how much longer the camp stays open. DAVID HEATH: I know that President Obama is committed to closing the facility here at Guantanamo Bay, and I will run it until I am ordered to transfer the detainees. I have no speculation on whether they'll be gone or not before I leave. WELNA: The Bush administration transferred more than 500 detainees. When President Obama took office, 242 remained, and he's been able to whittle that number down to 122. Until a few months ago, former diplomat Cliff Sloan was in charge of persuading other countries to accept them. Sloan says 57 of the remaining detainees have been cleared for transfer. CLIFF SLOAN: All 57 of those should be transferred to other countries just as promptly as possible. That can and should be done, and it can and should be done with a sense of great urgency. WELNA: But most of those cleared are from war-torn Yemen, and another country much closer is also off limits, the United States. Congress passed a law during Obama's first year in office barring any Guantanamo detainee from entering the U.S. Again, former diplomat Sloan. SLOAN: There is no rational basis for that prohibition. And I am confident that when the number gets down low enough, when there's a small core of people at Guantanamo, that the administration can work with Congress on a common-sense solution for the very small number who remain at Guantanamo to allow them to be brought to the United States in super secure prisons for detention and prosecution. CONGRESSMAN JACKIE WALORSKI: I don't want to take that risk. I don't want to take that gamble. WELNA: That's Indiana House Republican Jackie Walorski when she made her first visit to Guantanamo in February. WALORSKI: I think most people in this country, if you ask them, honestly, do you want confirmed terrorists kept in your state or your backyard? No. WELNA: So Walorski is sponsoring legislation being voted on today by the House Armed Services Committee that's expected to pass. The Obama administration says it would make transferring any more detainees from Guantanamo anywhere in the world nearly impossible. Obama clearly is frustrated. Here's what he said when a 7-year-old in Cleveland last month asked the president what he would have done differently. PRESIDENT BARACK OBAMA: I think I would have closed Guantanamo on the first day. WELNA: Obama lamented that a bipartisan consensus about closing Guantanamo vanished once he became president. OBAMA: My Republican opponent had also said it should have been closed. And I thought that we had enough consensus there that we could do it in a more deliberate fashion. But the politics of it got tough, and people got scared by the rhetoric around it. WELNA: The Republican opponent Obama referred to was, of course, Arizona Senator John McCain. The former Vietnam prisoner of war says he'd be more willing to help empty Guantanamo if the Obama administration made clear just what would happen to those being held there. SENATOR JOHN MCCAIN: They have no plan, not over the last six years, no plan. In fact, for the last six years, I've been saying give us a plan, and we will consider it as to where these people could be located in the United States. WELNA: McCain is one of many Republicans still furious about the Obama administration without first notifying Congress swapping five Guantanamo detainees last year for hostage Army Sergeant Bowe Bergdahl. But perhaps the most vexing question for everyone is what to do with some three dozen detainees considered too dangerous to release but who cannot be tried for lack of evidence. Kenneth Roth is executive director of Human Rights Watch. KENNETH ROTH: The president seems to be contemplating moving them to a super maximum security facility in the United States. And that wouldn't really solve the problem. That simply moves Guantanamo onshore. WELNA: The ideal fix for Guantanamo, says former Justice Department lawyer Jennifer Daskal, a detention policy specialist, would be for the Obama administration to simply transfer all the detainees to other countries. JENNIFER DASKAL: The problem, of course, even if they wanted to do that, is finding other countries that would be willing to take them. I imagine that with sufficient incentives that could be possible, but it certainly would be difficult. 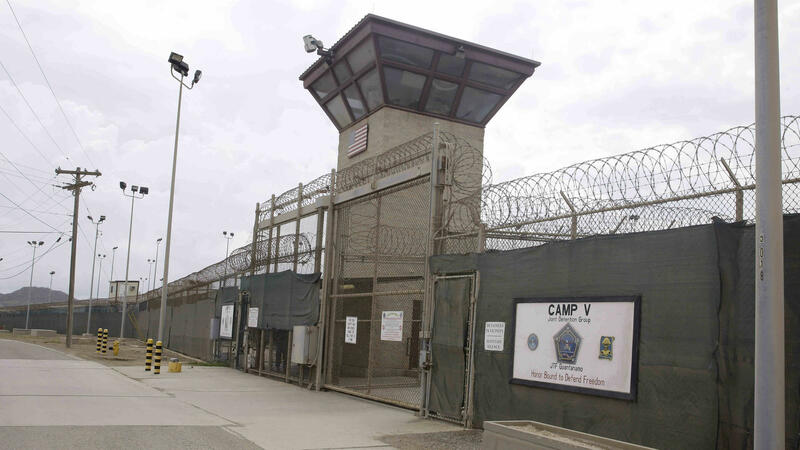 WELNA: A political deal with Congress may be what's needed to empty Guantanamo. But the window for that may have closed with the campaign for Obama's successor already underway. David Welna, NPR News. Transcript provided by NPR, Copyright NPR.